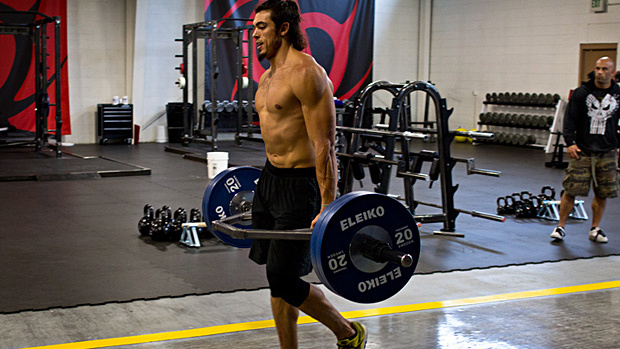 If you’re serious about your training you have probably already heard of Christian Thibadeau. If you haven’t the man is one of the worlds top bodybuilders and strength coaches. He contributes hundreds of free articles and videos to famous training blog t-nation. The style of writing and teaching he uses is unique in the way that he is able to take complicated ideas and simplify them enough so that the average weekend warrior can understand and implement. The cues he uses seem basic but are supremely effective in teaching exercise technique and activation of the correct muscles. A recent back injury has had me venture away from my beloved maximal strength training to include more hypertrophy (muscle growth) work. It’s been a nice change and I have benefited from it a great deal in learning to understand what i’m trying to achieve with each exercise. It’s allowed me a chance to really drop the ego and strip the weight down and try to stimulate the desired muscles. Muscle building really is the base of training. You can think of building muscle as crafting a LARGER engine and strength to creating a more POWERFUL engine. The larger the muscle the greater the opportunity it has to produce force. 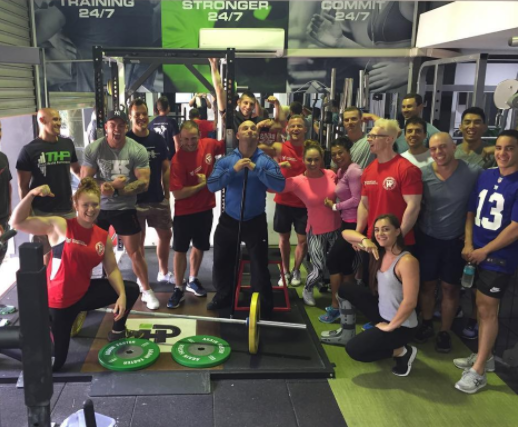 After spending two solid days with the big dog himself at Icon Health and Performance in November 2016 i’ve compiled the top 4 things to pass on to those looking to hop aboard the gain train. This was a game changer for me and my number one take home. Since the seminar I have been consciously thinking about which muscle/s I am trying to activate before I initiate each repetition. The muscle that you start a movement with is the one that will be stimulated the most. You must be able to recruit and contract the right muscle fibres. For example the pull up is one of the most butchered exercises on the gym floor. 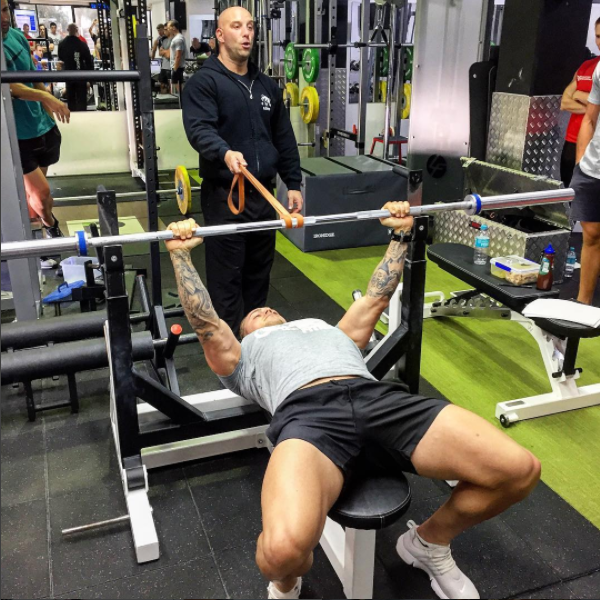 Next time you go to do one before you begin your pull aim to engage your lats by pulling down and ‘breaking the bar’. The better you get at stimulating the right muscles the greater the growth and strength increases. Personally I wish I had this advice sooner. I started lifting at about 14 and none of my gym buddies or myself really knew what we were doing. We’d just copy the guy next to us or follow someone else’s program never quite knowing exactly where we should be feeling each movement. This ‘lift first ask questions later’ mentality left me with some severe muscle imbalances. I basically had no idea how to activate my upper back and I paid for it down the track with a couple of torn shoulders. Strongman style training will allow you to maintain muscle mass while doing energy system work simply because you are still contracting your muscles which produces mTor. mTor is the compound in the body that stimulates muscle protein synthesis (which creates muscle growth) and is also stimulated from ingesting protein. Loaded carries are also a great way to work on some of the weaknesses holding people back with their maximal strength by hammering grip and core strength. Some strongman type exercises you can implement would be loaded carries, rope pulls, tyre flips, clean and press and sled work. This isn’t a steady state cardio bashing session by any means as it can be a very useful tool for fat loss programs. Again, might seem like an obvious one but I still see so many people in the gym going through the motions. They’re the people who have been training for years but have not seen any progress. Train with intent. Lift with force. Put your phone away. Invest in a program and get some sort of accountability going. Set goals to keep you motivated. Take basic body measurements and grab a few shots of yourself in the mirror. Use a training log and aim for progressive overload and voilà – in come the results . If you’re unfamiliar with progressive overload put simply it means to either increase the weight or increase the amount of reps your doing a given workout. Working hard in the gym is one thing but working hard outside of it is just as important. Nutrition, sleep and how you recover will play a massive role in how quickly you can progress. You can’t just hammer your body everyday and expect muscle growth – more is not always better. The body needs time to recover and adapt so it can become bigger and stronger. Too much training can elevate cortisol levels to a point where muscle becomes catabolic and starts breaking down. Again these tips may sound basic but sometimes the average gym goer needs to drop the ego and work on solidifying the foundations. If you’re a coach or serious lifter i’d jump at the opportunity to go and see Christian live if he comes to your country. Great core reminders to keep it simple (and not overcomplicate). Christian’s benchpress vid is particularly good! Thank you brother. His stuff is seriously awesome.